Size: approx. 4 mm. Photo: 06/14/12. The little Dryadaula terpsichorella is an introduced species to Florida. The literature states "The common name is derived from characteristic circular gyrations, with a crablike sideways gait". 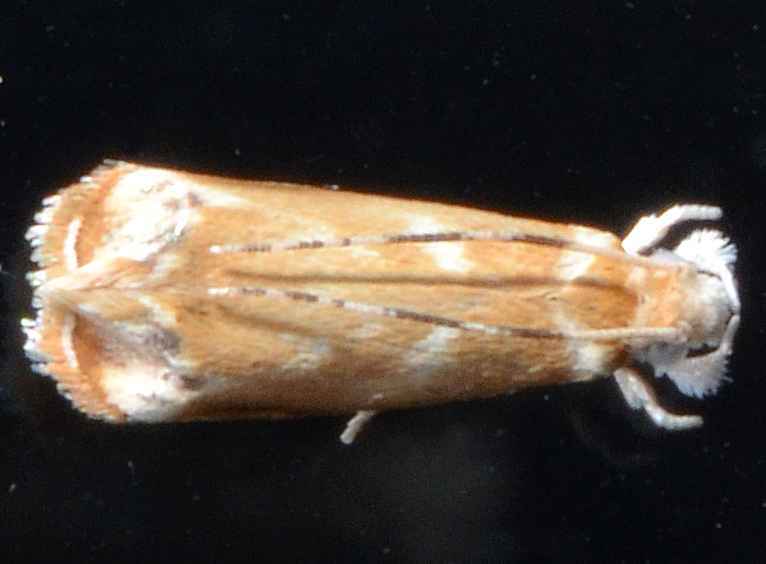 I had this specimen originally listed as Caribbean scavenger moth, which seems incorrect.